I created the first Emily Dickinson piece in the spring of 2009. I framed and exhibited 32 pieces in the spring of 2010. Now at the end of the year, I have found that my favorite presentation is not the framed work but the plexi cubes I have made as gifts for friends and family. They are about to have their first public launch this weekend at the Exeter (NH) Center for Creative Arts Fine Art and Craft Sale. 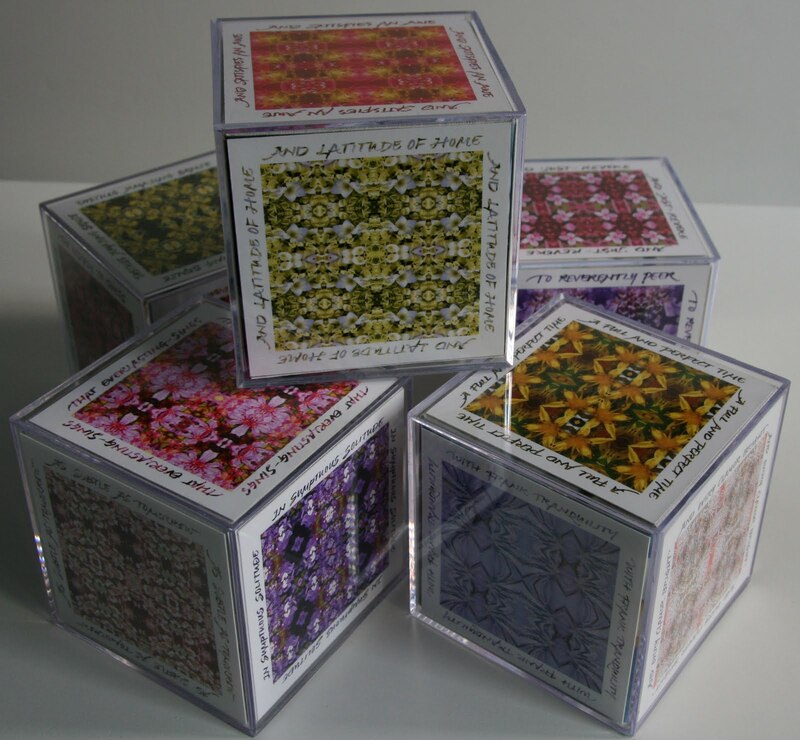 Each cube contains 6 images, and there are five cubes of different groupings. I'm setting up an shop on etsy to sell the cubes and cards. It will be up and running in early December.